With music by Sir Elton John, Billy Elliot the Musical has won the hearts of millions since it opened in London's West End some ten years ago, becoming one of the most beloved musicals of our time. Set in a northern mining town, against the background of the 1984/'85 miners' strike, Billy Elliot is the inspirational story of a young boy's struggle against the odds to make his dreams come true. 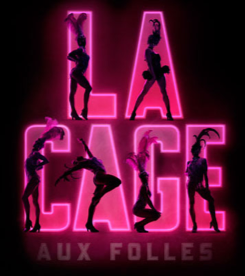 The story follows Billy's journey as he stumbles out of the boxing ring and into a ballet class where he discovers a passion for dance that inspires his family and whole community and changes his life forever. Featuring an exciting score, sensational dance and a powerful story that has captivated audiences around the world, Billy Elliot the Musical is a funny, uplifting and spectacular theatrical experience that will stay with you forever. Grammy-nominated recording artist "The Morning After" from The Poseidon Adventure, "Can You Read My Mind" from Superman, "Different Worlds" from TV's Angie) and Broadway star (Little Women, The Pirates of Penzance, Nine), Maureen McGovern makes her Axelrod PAC debut with a special holiday concert, appearing with the Rising Stars Youth Choir. 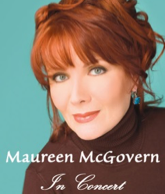 In addition to her live jazz, pop and cabaret appearances, McGovern has many critically acclaimed recordings of music by Gershwin, Arlen, Rodgers and Alan and Marilyn Bergman. Reviewing one of her recent albums, the New York Times writes: "Ms. McGovern's vocal technique is second to none." 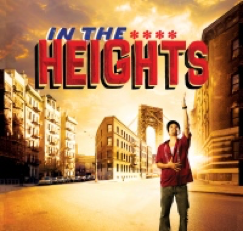 Written by Lin-Manuel Miranda, the Pulitzer Prize- and Tony Award-winning composer of Hamilton, IN THE HEIGHTS tells the universal story of a vibrant bario in New York's Washington Heights, a place where the coffee from the corner bodega is light and sweet, the windows are always open and the breeze carries the rhythm of three generations of music. Miranda's miraculous award-winning score incorporates classic Latin rhythms and modern Broadway to create a soundscape all his own-think West Side Story meets Rent. Jean Poiret is also the source of the film The Birdcage starring Robin Williams and Nathan Lane. 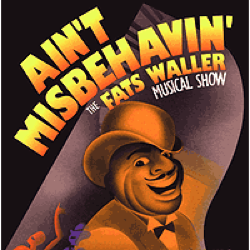 WHEN: August 13, 17, 20, 2017; Thursday at 8 PM, Sundays at 3 p.m.
musical revue, assembled by Richard Maltby, Jr., evokes the delightful humor and infectious energy of Thomas "Fats" Waller, as a versatile cast struts, strums and sings the songs that he made famous in a career that ranged from Tin Pan Alley to Hollywood. The musical includes 30 great honky-tonk, jazzy and bluesy tunes, including "Honeysuckle Rose", "The Joint Is Jumpin'," "Keepin' Out of Mischief Now," "T'ain't Nobody's Biz-ness" and the title song!